The site is located in Denver, Colorado USA. First the old carpet was removed. 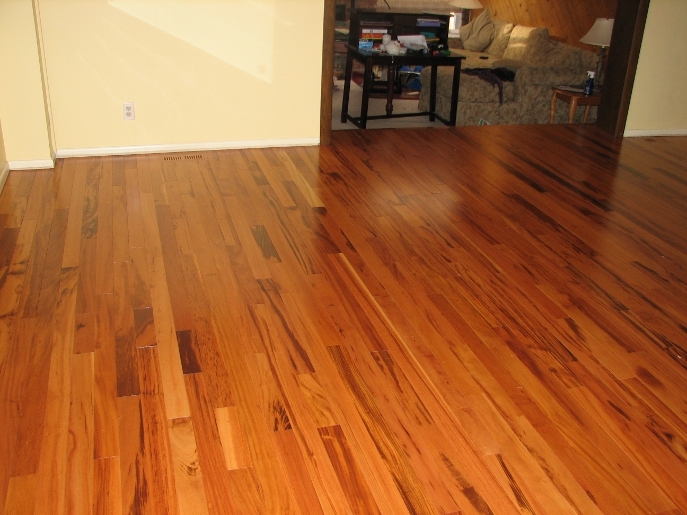 The floor was made out of wooden board and so the hardwood flooring was installed by nailing it to the ground. 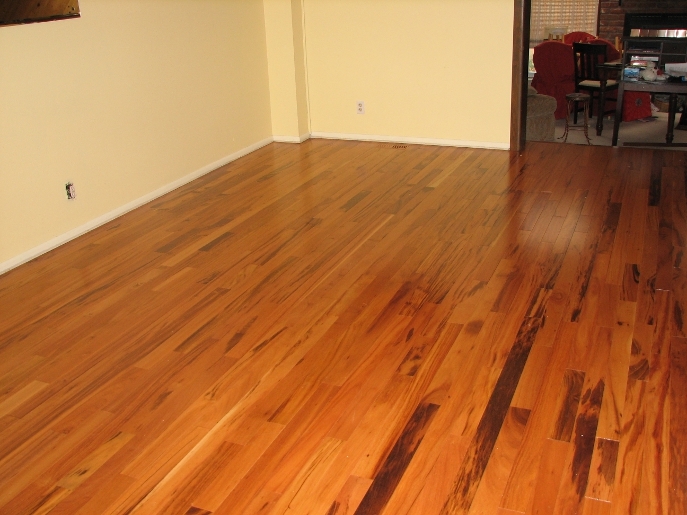 The parquet had a thickness of 3/4 inch, a width of 2.5 inches and varied in length. 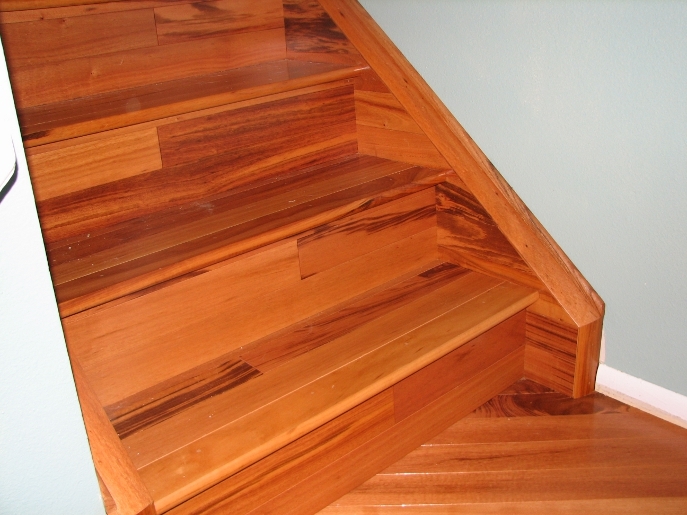 The wood used is pre-finished tiger wood. 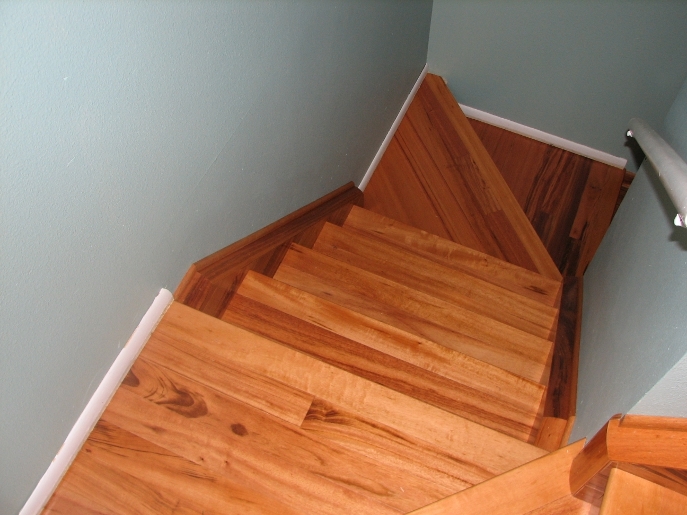 The staircase leading to the second floor was fully lined with the same flooring. 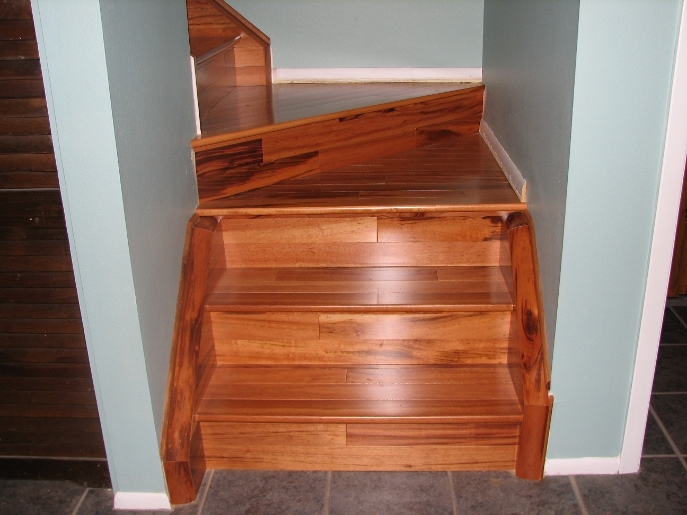 Not only did the stairs themselves have to be covered but the sides as well. 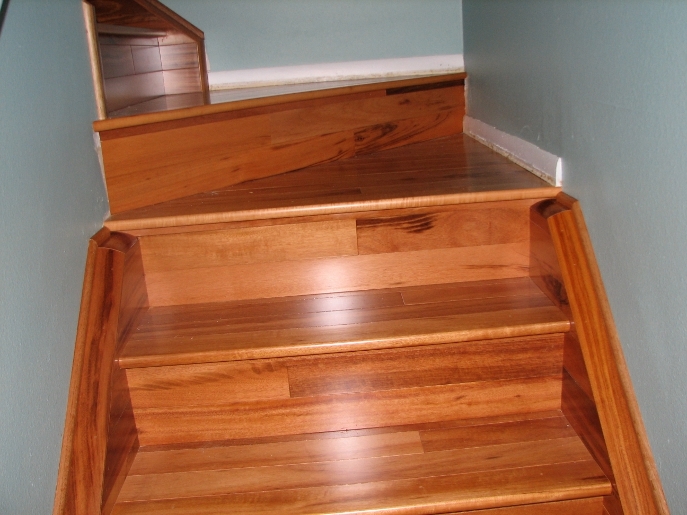 Using pre-finished wood to accomplish this feat requires prefect knowledge and work experience. Once prefinished flooring has been placed it’s final. That is why one cannot make any kind errors or mishaps since it’s unacceptable to do grouting, sanding or any other additional treatment to hide imperfections. This requires for the installation and all other details to be done flawlessly.